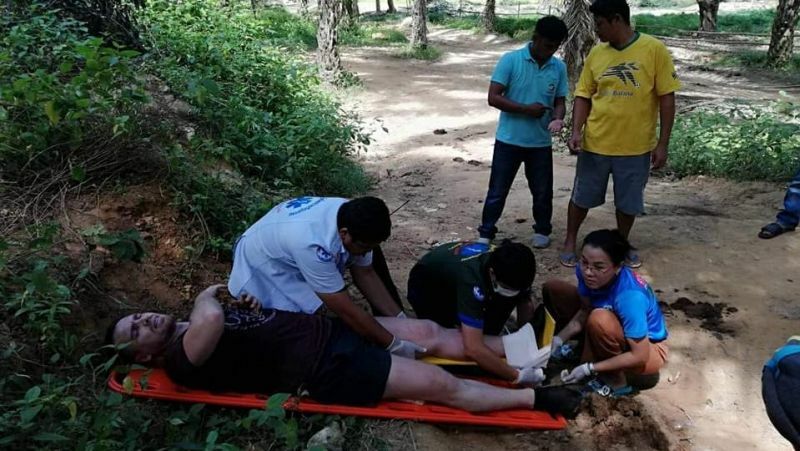 PHANG NGA: The elephant that attacked two Italian tourists during a trek in Phang Nga on Tuesday (Feb 19) has been chained up and left in isolation for a period of one to two months â€œfor assessmentâ€�, according to the Phang Nga Department of Livestock Development. 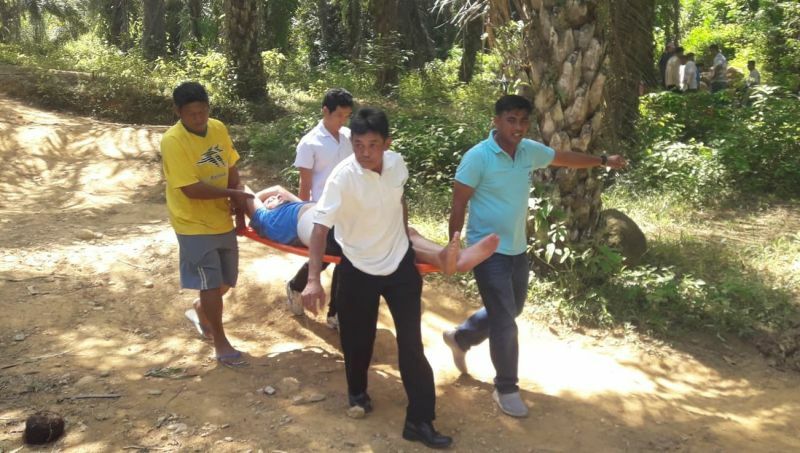 Sarote Jittakarn of the Phang Nga Department of Livestock Development told The Phuket News that Thanwa, who is approximately 8-9 years old, is still a very young adolescent who was previously used as a circus elephant and had attacked a mahout once before, although the mahout was unhurt. “Thanwa has now been chained up by the leg and quarantined near the camp whilst the eldest mahout assesses his behaviour,” Sarote confirmed. “A professional mahout will know what to do with the elephant as he has more experience than a livestock officer,” Sarote said. Col Boriboon Yusuksomboon of Thung Kha Ngok Police provided an update on the condition of the two Italian tourists. “Trofa’s hip was fractured in the fall and he has had an operation at Phuket Bangkok Hospital,” Col Boriboon confirmed. “Di Megu has had abdominal surgery. 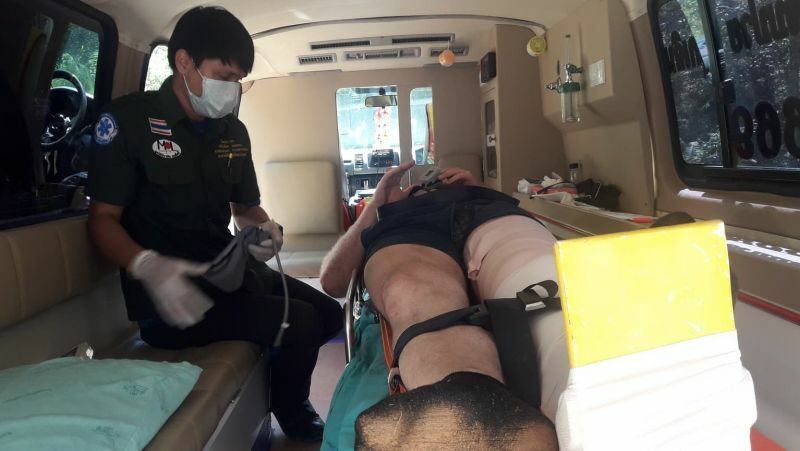 He had one operation in Phang Nga Hospital and was then transferred to Bangkok Hospital for a second operation,” he explained. Wonder what kind of 'assessment' elephant Thanwa has to undergo during 2 months. Have seen tv reports of cruelties in Asia during these 'assessments'. Philosophy seems to be to make the elephant weak willed. Although a elephant bull lives mostly alone in the wild, it is still a herd animal. Isolating it for 2 months is already cruel. And Thanwa is still a young adolescent.